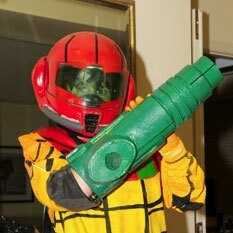 Joseph DeRose, along with his father, created a sweet costume for this years Halloween festivities. Complete with a helmet and arm cannon. Be sure to check out Joseph’s project page for more information as well as videos.